It's the 21st century; you might be sitting with your therapist, drowning in thoughts of office work and terrible traffic. You might just need some serenity, beauty, and solitude. Perhaps a trip to Cumberland Gap is in your next prescription. Get out and discover rich history, spectacular overlooks, unique rock formations, cascading waterfalls, widespread plant and animal diversity, and an extensive trail system in the park's 24,000 acres. Hey! I didn’t even mention the awesome staff in the visitor center who cannot wait to show you around. So you may ask “What is this Cumberland Gap?” It's a low passable point in the massive cliffs of a long mountain chain. Cumberland Gap was the first great gateway to the West used by the buffalo, Native Americans, the longhunter, the pioneer … and now you. But never fear! Traffic is so marginal that you should actually enjoy the drive through the park (and I shall say, the highway tunnel under the mountain is one of the more prestigious engineering feats of our time). 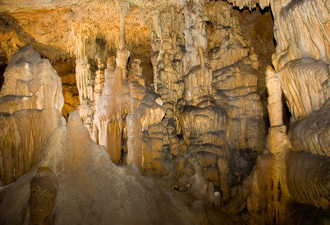 The park includes 85 miles of trails for hiking, horseback riding, and bicycling, plus a magnificent cave system called Gap Cave and several sites of historical interest. “Boring” is not in our vocabulary. So about that cave; ever seen stalactites that rocked your socks off? Have you ever laid eyes on a formation that made you gasp? You can here! Explore a hidden world underground — inside the mountains. It's a domain of darkness, with fantastic dripstone formations and strange animals that have adapted to the cave environment. Walk through the music room and test out the acoustics or try your strength on the ultimate stair master. 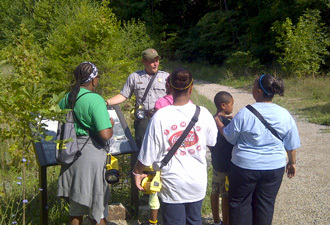 You can place yourself in the shoes of Civil War soldiers who spent down time in the cave. And that's not all! If caves are just not your thing, it's all good. We've got you covered. 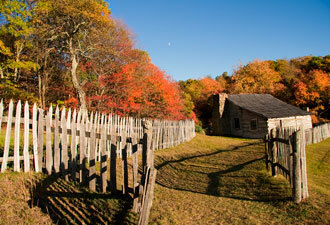 Take a guided tour of Hensley Settlement during a still, misty morning. The stories of weathered mountain communities come alive when visiting the historic buildings and structures. Imagine a community on top of a secluded mountain with a school, outhouses, and rolling pastures of golden native grasses. The stories ring true, creating a connection in your heart that you'll never forget. In reference to Kentucky, Daniel Boone once said, “No populous city, with all the varieties of commerce and stately structures, could afford so much pleasure to my mind, as the beauties of nature I found here.” So don't take my word for it; take his! Grab the kids and some snacks and plan your trip today!